It's a commonly seen narrative in the news media that the election of Donald Trump emboldened racists. But in a small town in northwestern Pennsylvania that went heavily for Trump, the election--and the emboldened racists--caused "profound soul-searching" that led to an anti-racism campaign called "Stand Up Together." Most of the 5,601 residents of Titusville are white, and they voted heavily Republican in every major race on the ballot in 2016. And though the town's African-American residents rarely experience violence, some say they saw an uptick in verbal harassment, bullying and racial profiling in the weeks leading up to Election Day in 2016. It can be easy not to take such microaggressions seriously, but then something happened that caused Titusville's leaders to sit up and take notice. In October, African-American college student Tyra Hollinger was buying snacks at a gas station "when she and her friends were confronted by the driver of a pickup truck who proudly displayed a Confederate flag in his rear window," Jon Jeter reports for Mint Press News. Later, she and her friends told local cafe owner Sarah Muir about the incident. Muir was appalled, and told her husband Brent. Brent was able to figure out who drove the truck and called the town's police chief, Harold Minch. Minch realized that the truck belonged to the son of one of the town's most respected families and called the young man in to his office to "read him the riot act". "We want our college students to feel comfortable and to enjoy their college years," said the 55-year old Minch, who describes himself as a lifelong Republican, albeit one experiencing a crisis of faith in the Trump era. "I sure as heck enjoyed mine and a lot of us are committed to letting our African-American students know that we’ve got their back." Brent Muir told Jeter that he was just "fed up" and that he and other locals have taken it upon themselves to deal with the surge in aggression they've seen over the past year. The Stand Up Together project kicked off with the town's first-ever Martin Luther King Jr. Day celebration in January 2017, and has been going strong ever since. "On Friday nights, the town drunk and his drinking buddies teach young, dreadlocked black men from Philadelphia and Cleveland to roast marshmallows and hot dogs over a campfire, and tell tall tales," Jeter reports. "Young black women babysit the Muirs' adopted Puerto Rican daughter almost every weekend, braiding her hair and eating so much free food that university administrators call to inquire if they’ve lost their meal card. When a customer photographed a “N—– Job Application” posted on the bulletin board of the only hardware store in town, the university stopped doing business with the store." No one is under the illusion that racism is a thing of the past, but the project has produced results. Local college student Briana Davis told Jeter, "I just know that as a woman of color, I feel welcomed and free here." 84 percent of Americans think the news media is key to democracy, but only 44 percent can name an objective news source. There's a sizeable difference in how people belonging to different political parties view the news media: while 54 percent of Democrats have a very or somewhat favorable opinion of the media, only 32 percent of Republicans do. More news sources can bring more confusion. 58 percent of Americans think having more news sources makes it harder to feel well-informed, while 38 percent say it's easier. And people these days are less satisfied with the sources they see: 50 percent of adults say there are enough sources to sort out facts, as opposed to 66 percent in 1985. People are worried about fake news: 73 percent say the spread of inaccurate information on the internet is a major problem with news coverage, more than any other potential kind of news bias. Only 50 percent feel confident that the public can see past the bias to discover the real facts. Less than 33 percent say that they personally are confident they can tell when a news source is reporting hard news and not commentary or opinion. What is fake news? Opinions vary. Most people believe that knowingly reporting false information as if it were true is fake news. Forty percent of Republicans say that even accurate information is fake news if it casts a certain politician or political group in a negative light. Whose responsibility is it to inform Americans? 48 percent overall and 53 percent of Republicans said it's individual citizens' job to inform the public, and 48 percent overall and 53 percent of Democrats said it's the news media's job to do so. Most people believe that the internet, news aggregators, citizen videos and cable news have had a positive impact on the U.S. news over the past 10 years, but 54 percent say the impact of social media sites like Facebook and Twitter has been negative. 53 percent say that political leaders using social media to directly communicate with the public is more negative than positive. 64 percent of Americans say they share news stories on social media, but 68 percent of that group says they mostly share stories with people who hold similar beliefs. 57 percent of people think the way internet platforms choose news stories for them is a major problem for democracy, but opinions are divided over whether such platforms should be regulated: 49 percent are in favor of such regulations, and 47 percent are opposed. A person's age and political party is strongly tied to their trust in the news media. Older Americans and Democrats tend to trust the news media more, while younger people and Republicans mostly distrust it. 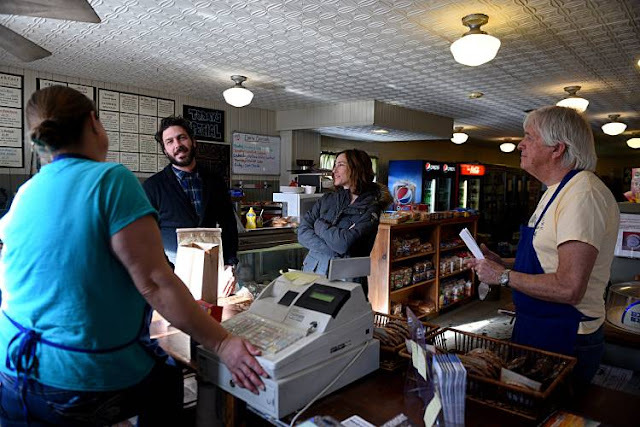 The residents of South Pomfret, Vermont, see the Teago General Store as a community hub where they can have a cup of coffee with a neighbor and catch up on the local news. But owner Chuck Gunderson, with his reserved demeanor, says he's the "antithesis of what a general store owner should be," Matt Hongoltz-Hetling reports for the Valley News in White River Junction, Vt. and Lebanon, N.H. When he bought the store on the auction block 30 years ago, he didn't realize that social skills would be involved. "I kind of pictured myself sitting at the desk up front there, with plenty of time to read or write or do whatever I wanted and, you know, sell a few canned goods and things like that in between," Gunderson said. "Instead," the News reports, "the reserved Gundersen soon found out that his customers — like many patrons of a vanishing breed of Vermont country stores — were interested in more than the hodgepodge assortment of sponges and mousetraps, Snapple and YooHoo, peanut butter and hand-warmers arrayed on the shelves above the well-worn floor boards. They valued the building as a community center — a place where they could strike up a conversation, learn local news and share a cup of coffee with a neighbor." Since he has just sold the store, Gundrson is reflecting on his 30 years there: what he did to improve the place, his not-so-secret passion for rock 'n' roll as a moonlighting disc jockey, and his frequent columns in the Vermont Standard about his experiences minding the shop. When customers realized he loved music and literature, they began striking up more conversations. "It hasn’t brought me out of my shell so much as maybe it’s brought other people into my shell," Gunderson told the News. At 73, Gunderson was ready to retire. He sold the store to Kathleen Dolan, a Pomfret resident who moved from New York City 15 years ago. She's already making plans for how to improve the store, and says the it will be there for decades to come. Department of Energy photographer Sim Edelman has been fired after leaking photos of Energy Secretary Rick Perry hugging coal magnate Robert Murray, the head of Murray Energy, the nation's largest coal company. Edelman took the photos last year at a private meeting between Perry and Murray, who was a major campaign donor for Trump. One showed the men hugging, and another included the cover sheet of a confidential wish list that Murray brought to the meeting, calling for coal-friendly policy and regulatory changes. The Trump administration has fulfilled most of Murray's requests on the action plan, the contents of which have recently been revealed. Leaking the photos seemed like "the right thing to do — exercising my First Amendment rights to get the information out there," Edelman told Ben Protess of The New York Times. The photos were published by liberal magazine In These Times on Dec. 6. The day afterward, the Energy Department put Edelman on administrative leave, then fired him later. He has filed a complaint with department's inspector general and is seeking federal whistleblower protection. In the complaint, he accuses the department of retaliation and asks for his job back, or at least the ability to recover his laptop and other personal belongings that were seized from him when he was placed on administrative leave. The Federal Bureau of Investigation is investigating whether a Russian banker with ties to the Kremlin illegally funneled money through the National Rifle Association to help Donald Trump become president, Peter Stone and Greg Gordon report for McClatchy Newspapers. It is illegal to use foreign money to influence federal elections. Alexander Torshin, the deputy governor of Russia's central bank, has a close relationship with Russian President Vladimir Putin and has been implicated in a money-laundering scheme in Spain in 2016. A nearly 500-page report in the Spanish investigation called him a "godfather" in major Russian criminal organization called Taganskaya. Torshin is also a lifetime NRA member, and hosted two dinners for a high-profile NRA delegation in Moscow in 2015, then met with Donald Trump Jr. at the NRA's 2016 convention in Louisville. The convention meeting "matters because Torshin was involved, through an intermediary, in what was described in an email sent to Trump campaign aides as a 'Russian backdoor overture.' Jared Kushner, Donald Trump's son-in-law, denied his request for a meeting with the candidate on an email chain that allegedly also included aides Rick Dearborn, Paul Manafort and Rick Gates," Julia Glum reports for Newsweek. "Senate investigators argued Tuesday that Kushner had not turned over the messages to them, as they'd requested as part of their probe into the Kremlin's meddling in the election. Kushner's attorney denied it." Journalists can't determine the extent of the FBI's evidence for the claim, but the NRA spent a record $55 million on the 2016 elections, including $30 million to support Trump; that's three times more than the NRA gave to Mitt Romney in the 2012 race. Most of that money came from a part of the NRA that doesn't have to disclose its donors. They may have spent more like $70 million, according to sources close to the NRA, since groups don't have to report spending on internet ads or field operations like get-out-the-vote drives. "It’s unclear how long the Torshin inquiry has been ongoing, but the news comes as Justice Department Special Counsel Robert Mueller’s sweeping investigation of Russian meddling in the 2016 election, including whether the Kremlin colluded with Trump’s campaign, has been heating up," Stone and Gordon report. "Torshin is among a phalanx of Putin proxies to draw the close attention of U.S. investigators, who also have tracked the activities of several Russian billionaires and pro-Russian Ukrainian oligarchs that have come in contact with Trump or his surrogate." According to a new study by the Bipartisan Policy Center, a one-size-fits-all approach won't work in curing rural America's health care woes. BPC and the Center for Outcomes Research and Education spoke with more than 90 national thought leaders and key stakeholders about the state of rural health in the Upper Midwest states of Iowa, Minnesota, Montana, Nebraska, North Dakota, South Dakota and Wyoming. They wanted to understand the real-world implications of federal health policies, discover what health-care challenges the area is facing, and identify ways rural health care could improve. The report could be useful to policy makers in other parts of the U.S., since the problems found are not unique to the Upper Midwest. One conclusion of the report that could surprise or upset many people: Not every rural community needs a hospital. The Rural Emergency Acute Care Hospital Act proposes turning critical-access hospitals in some communities from inpatient care centers to rural emergency centers or other useful facilities. The report also recommends creating funding mechanisms for rural health care that reflect specific problems in rural areas, such as low population and high operating costs. It also recommends that rural communities start grooming young, local residents to become health-care workers through middle school, and high-school programs that encourage their interest. Finally, the report recommends expanding telemedicine services, noting that broadband availability is an ongoing problem in doing so. Federal Communications Commission Chairman Ajit Pai has proposed an order that would provide $500 million in additional funding to bring broadband internet to rural America. The funding would go to cooperatives and small telecommunications companies. The proposed order hasn't been released yet, so more details aren't yet available. Besides trying to close the rural broadband gap, the order would "institute new regulations aimed at preventing abuse of the Connect America Fund and promote broadband access in tribal lands," Mallory Locklear reports for Engadget. The Connect America Fund, also known as the Universal Service High-Cost Program, is an FCC program to expand telephone and broadband services to rural areas. Under the program, "the FCC provides funding to local telephone companies to subsidize the cost of building new network infrastructure or performing network upgrades to provide voice and broadband service in areas where it is lacking," according to the FCC website. The proposed order "comes on the heels of President Donald Trump signing an executive order that speeds up federal permitting for broadband expansion in rural areas and makes it easier for wireless operators to put cell towers on federal lands," Jake Smith reports for ZDNet. "As part of a Connect America Fund promise, AT&T has been rolling out wireless internet to rural areas since April of last year and as of September, it had launched its services in 18 states," Locklear reports. "The data are clear: Life is getting harder and harder for Americans without college degrees. People with a high-school education or less tend to face worse economic prospects and have poorer health," Sarah Brown reports for The Chronicle of Higher Education. The increase in mortality among middle-aged white Americans who don't have a college degree is primarily due to "deaths of despair" caused by alcohol, drugs and suicide, according to researchers at Princeton University. President Trump won 67 percent of white voters without a college degree, a demographic that can be a rough analogue for rural America, and he performed particularly well in counties with the highest mortality rates from these deaths of despair. Is the despair connected to why people voted for Trump? 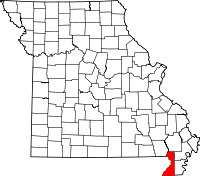 Brown went to Missouri's rural Bootheel to find out what the locals thought. In Dunklin County, where only 10 percent of adults have a 4-year degree, 76 percent of voters went for Trump. The life expectancy there is 72.6 years, 6.5 years less than the national average. Because of job losses in the manufacturing and agricultural sectors over the past few decades, more people are relying on government assistance. Brown talked to several people who expressed disdain for people who receive public aid because they're "too lazy to work." One man, David Ross, said that he has open positions at his trucking and excavation company that he can't fill. "If there were less government assistance, he says, maybe more people would be forced to take the jobs that are available, even if the work isn’t glamorous," Brown reports. The county was devastated in 2006 when Emerson Electric Co., its largest employer, closed its plant in the county seat of Kennett. Many of the jobs went to Mexico., so Trump's emphasis on bringing manufacturing jobs back to the U.S. resonated in Dunklin. Some locals noted that those who go to college don't tend to come back, since there are no high-skill jobs available in the area, so boosting college attendance among small-town teenagers isn't a cure-all for rural America's woes. Many rural high schools lack the resources to offer Advanced Placement courses that can help prepare them for college and possibly earn course credit. In Illinois, a new program will help 75 students at 10 rural high schools take AP courses, The Associated Press reports. If the program is successful, Lt. Gov. Evelyn Sanguinetti, who leads the Governor's Rural Affairs Council, says the program may expand. The difference between rural and urban areas in a state can be striking, and California has seen several separatist movements, mostly to break off the rural north. The latest one goes farther, "separating rural areas in California from the state's coastal cities and Sacramento, with supporters saying the state has become 'ungovernable,'" Julia Manchester reports for The Hill. The conservative-oriented movement says California is a "failed state" because of its high taxes and declining health care. "There’s something wrong when you have a rural county such as this one, and you go down to Orange County which is mostly urban, and it has the same set of problems, and it happens because of how the state is being governed and taxed,” founder Robert Paul Preston told CBS Sacramento. "Unlike other separation movements in the past, the state of New California wants to do things by the book, citing Article 4, Section 3 of the U.S. Constitution and working with the state legislature to get it done," CBS reports. "The group is organized with committees and a council of county representatives, but say it will take 10 to 18 months before they are ready to fully engage with the state legislature." Abby Hamblin of the Los Angeles Times writes that the effort is a long shot, to say the least. But it could be a barometer for rural sentiment. Rural hospitals in states that expanded Medicaid were six times less likely to close than those in states that didn't, according to a study published in the January edition of the journal Health Affairs. "Richard Lindrooth, a professor at the Colorado School of Public Health and lead author of the study, says hospitals saw more people showing up to hospitals with that insurance — so Medicaid payments increased. That helped the hospitals' bottom line," John Daley reports for NPR. Lindrooth and his team of researchers at the University of Colorado examined national hospital data and local market conditions from the four years leading up to the Patient Protection and Affordable Care Act (2008-2012) and the two years after the act took full effect with Medicaid expansion (2015-2016). They found that about half the hospital closures in non-expansion states could have been averted through Medicaid expansion. Expansion-state hospitals had more insured people, so they made more money and provided less free care, reducing cost margins, he told Daley. Jason Clecker, CEO of Delta Memorial Hospital in rural western Colorado, said Medicaid expansion helped his hospital's finances. Between 2011 and 2016, the number of Medicaid patients seen in his hospital increased from 10 percent to 20 percent, and since the hospital had to provide less free care, it saved more than $3 million. "Our bad debt decreased significantly, and the uninsured rate decreased significantly," Cleckler told Daley. "It's pretty remarkable, and I would venture to say that most hospitals, even ones with a lower percentage of Medicaid, have experienced a similar story." Cleckler also said Medicaid was a "mixed bag" for rural health care providers, since reimbursement rates are sometimes very low. Because of that, some providers won't accept or limit the number of Medicaid patients they'll accept. Kentucky has been hit hard by the opioid epidemic, but the state is trying to fight it with innovative efforts to gather more specific data about overdose deaths. The Kentucky Injury Prevention and Research Center, a partnership between the state Department for Public Health and the University of Kentucky College of Public Health, built a "drug-overdose fatality surveillance system" that combines information sources like death-certificate information, post-mortem toxicology analysis, and victims' prescription history to get a better picture of which drugs are killing people and under what circumstances. "The efforts that KIPRC and the state have made to improve this data have led to crucial findings, including that Kentucky’s crisis isn’t one crisis, but many," Kathryn Casteel reports for FiveThirtyEight. "Different parts of the state are afflicted with different drugs. Northern Kentucky, for example, has a high prevalence of heroin and fentanyl — a synthetic opioid that is more deadly than heroin and other types of opioids — while in the eastern part of the state, prescription opioids are still the main concern. KIPRC chart; click on the image to enlarge it. "We’re not doing this for the sake of research," Svetla Slavova, a biostatistician with KIPRC, told Casteel. "We provide actionable data for policymaking, treatment and prevention. 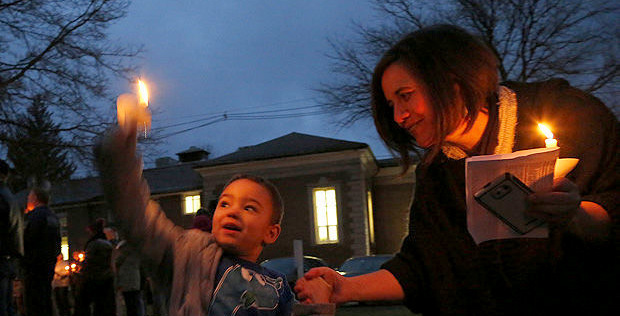 We’re trying to be responsive and provide data that will help make these decisions." Because of KIPRC's research, Van Ingram, the executive director of the Kentucky Office of Drug Control Policy, said he was able to push legislation increasing the availability of the anti-overdose drug naloxone. One of KIPRC's biggest efforts is to make death-certificate information more uniform across the state, because "even the smallest differences in language can leave overdose deaths uncounted," Casteel reports. Sarah Hargrove, a data management analyst for KIPRC and former autopsy technician for the state, is spearheading the effort. It's tough going, since some coroners in the state's 120 counties, many of them small, have limited resources and funding, and many have little medical experience. But KIPRC is making headway. "Researchers were able to determine the specific drugs that were involved in 97 percent of drug overdose fatalities in 2016; that’s compared with 82 percent using death certificates alone," Casteel reports. The also used the surveillance system "to find which drugs were most commonly involved in deaths linked to a combination of substances, as well as which drugs were involved in overdose deaths among people of different age groups and genders." "On Jan. 12, Kentucky became the first state to get federal permission to suspend Medicaid coverage for "'able-bodied' adults who don't complete 80 hours per month of community engagement activities," like employment, education, job-skills training and community service," Tony Pugh reports for McClatchy's DC bureau. And though Kentucky is one of the poorest states and its residents the sickest, Pugh found the decision is unlikely to have much political blowback. A 2017 Kaiser Family Foundation poll found that 70 percent of Americans support work requirements for Medicaid recipients, and Bevin is betting deep-red Kentucky feels the same way. Kaiser Family Foundation chart. Click here for more information. In Kentucky and other states with many low-income residents, people who work--and often struggle to pay for health care--tend to resent those who get government-subsidized health care, according to Al Cross, director of the Institute for Rural Journalism and Community Issues. "If you can say, 'All we’re doing is requiring people to be more active participants in their health care and require some work-related activities,' I think the general population looks at that and says, 'What’s the matter with that?'" Cross told Pugh. 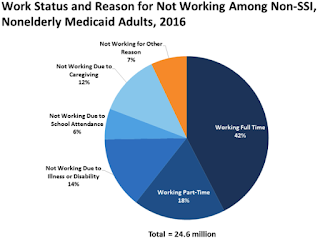 "Supporters say the Medicaid work policy will cut government dependency, weed out people who don’t really need the assistance and build work ethic among low-income enrollees," Pugh reports. "Critics say the requirement will be expensive to administer, provide an unnecessary barrier to coverage and penalize people who can’t work due to undiagnosed medical problems." Kentucky's new policy estimates nearly 100,000 fewer Kentuckians will have health coverage in five years, than if the policy were not implemented. Eight other states with Republican governors (Arkansas, Arizona, Indiana, Kansas, Maine, New Hampshire, Utah and Wisconsin) and one state with a Democratic governor (North Carolina) have asked the Trump administration for the green light to enact similar requirements. Several of those states could be battlegrounds in statewide and congressional elections in November. 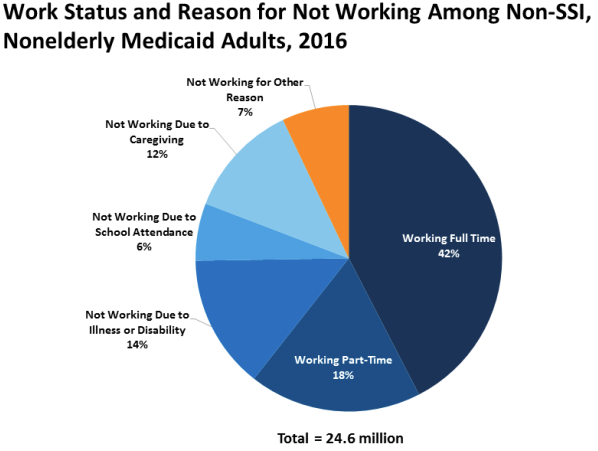 But the Medicaid work requirements aren't likely to be a problem for most Kentucky Republicans, since there are no statewide races this year. The traditionally lower turnout among low-income voters who would be affected by the measure could also help protect Republicans, Cross said. And it's worth noting that the Kentucky counties with the highest Medicaid rates backed Bevin in 2014, mostly because of social issues such as religion, abortion and anti-Obama sentiment. But the political dynamics at play in Kentucky may not apply in other states. "It may depend on rival Democrats making a linkage between Medicaid and overall concerns about health care and insurance," Pugh writes. Democrats are likely to emphasize health coverage in elections this year, since 3.2 million Americans lost health coverage in 2017 and it's an issue that most people care about. A poll by Hart Research Associates last week showed that voters cared about health care more than the economy, taxes, immigration, or terrorism in the 2018 congressional elections. Entries for the 2017 Scripps Howard Awards, which include a category for community journalism, will be accepted through 11:59 p.m. local time Friday, Feb. 2. First place in each of the 16 categories carries a $10,000 prize. New this year is the Impact Award, formerly called Public Service, which will honor the year's best work from all winners. Finalists will be announced Tuesday, Feb. 27; winners will be announced Tuesday, March 6. The awards are sponsored by the Scripps Howard Foundation, started by the E.W. Scripps Co., parent firm of Scripps-Howard Newspapers. For more information click here. In the days since Walmart announced that it was raising its starting wage, giving out employee bonuses and expanding paid parental leave, the mega-chain has quietly tightened its belt in other areas. On Jan. 12, the company announced it is laying off about 3,500 salaried store co-managers, replacing them with 1,700 lower-paid assistant store managers, Matthew Boyle reports for Bloomberg. Hours after Walmart's Jan. 11 announcement about the wages, which it credited to the recent corporate tax cut, the news media got wind that Walmart had abruptly closed 63 Sam's Club stores across the nation, with 9,400 employees. Some workers only found out that they had lost their jobs when they showed up to work to find a sign printed on the barred door. Ten of the Sam's Clubs will be turned into distribution centers for online orders, and employees will have the opportunity to apply for jobs there. Business Insider reporter Hayley Peterson, who broke the Sam's Club story, said on NPR, "It's highly unusual for companies as big as Walmart to not give employees notice about store closings," but that focusing on its online operation is a sound strategy for competing with Amazon. "Republican U.S. senators are working with some of the world's biggest agricultural merchants to undo a last-minute provision in the tax overhaul that threatens to distort the grains market and starve private firms of corn, soy and wheat supplies," Tom Polansek reports for Reuters. "The provision gives farmers a 20 percent deduction on payments for sales of crops to farmer-owned cooperatives, but not for sales to private or investor-owned grains handlers." The language was intended to help co-ops and their farmer-owners because the tax overhaul eliminated a part of the tax code that had benefited them for more than a decade. "If legislators do not address the provision by the autumn harvest, private grain companies could lose out on deals to buy billions of bushels of corn and soybeans," Polansek reports. "Farmers already are looking at how they can transfer grain stored at private elevators to co-ops to take advantage of the new law." Co-ops defended the new tax law. "Chris Pearson, chief executive of the South Dakota Wheat Growers co-op, said on Twitter on Wednesday that the law 'gives farmers some nice tax advantages when doing business with the ORGANIZATION THEY OWN!'" Polansek reports. Large private grain traders like Cargill Inc. and Archer Daniels Midland Co., which would lose out with the provision, have urged senators to change it, and it looks like they're listening. The National Council of Farmer Cooperatives and the National Grain and Feed Association have been working with Republican Sens. John Hoeven of North Dakota, John Thune of South Dakota and Pat Roberts of Kansas to find a more palatable solution. The Department of Agriculture said last week that it expects a solution soon. On Jan. 8 the Interagency Task Force on Agriculture and Rural Prosperity gave President Trump its report on ways to improve life in rural America. The report identified five "Calls to Action": Achieving e-Connectivity for Rural America, Improving Quality of Life, Supporting a Rural Workforce, Harnessing Technological Innovation and Developing the Rural Economy. Each call to action included a list of recommendations for legislative, regulatory and policy changes to help implement each call to action. "To achieve the objectives set out in the report, the task force also recommends the president establish a federal commission on agriculture and rural prosperity that would meet at least bi-annually and prepare regular reports to the president on its progress," Jenny Schlecht reports for AgWeek. "It also recommends establishing a stakeholder advisory council to advise the commission and establishing a managing director to oversee both the commission and the advisory council." 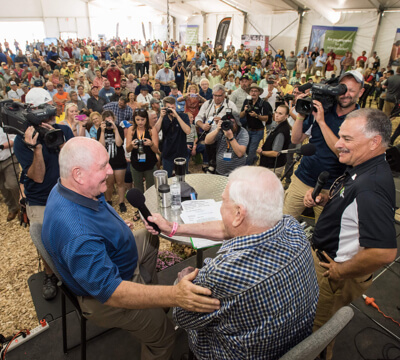 Trump established the task force April 25 and made Agriculture Secretary Sonny Perdue its chair. It solicited public feedback by holding listening sessions and taking comments from the public online. Perdue also went on a 30-state RV tour. "Many of the recommendations throughout the report involve improving cooperation among federal agencies, establishing additional task forces, reducing regulatory burdens and finding better ways to utilize existing resources," Schlecht reports. 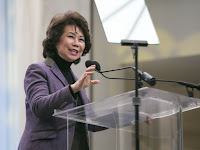 As it develops self-driving vehicles, the automobile industry must keep rural communities in mind, Transportation Secretary Elaine Chao told industry leaders Sunday at the North American International Auto Show in Detroit. Chao said autonomous vehicles have "tremendous potential" to improve safety and drive economic growth, "but she also said that automakers need to ensure that self-driving cars are accessible to people who live outside big cities," Nathan Bomey reports for USA Today. "We want to be inclusive as well and consider how this technology can benefit rural America," Chao told Bomey in an interview. Self-driving cars are likely to be first available in ride-sharing fleets in metropolitan areas in 2019, "but not everyone lives downtown," Chao said in her speech. "And it is worth noting that rural America accounts for a disproportionately large share of highway fatalities. So, automated technology (has) an important role to play in rural mobility and safety." Chao is married to Senate Majority Leader Mitch McConnell of Kentucky, one of the more rural states. As immigration from Mexico slows, "Harvesting U.S. crops has been left to an aging population of farmworkers whose health has suffered from decades of hard labor," Sarah Varney of Kaiser Health News reports for the Los Angeles Times. "Older workers have a greater chance of getting injured and of developing chronic illnesses, which can raise the cost of workers' compensation and health insurance." Federal data show that the average age of a farmworker in the U.S. is 45, and that fewer have migrated from Mexico in recent years. "Researchers point to a number of causes: tighter border controls, higher prices charged by smugglers, well-paying construction jobs and a growing middle class in Mexico that doesn't want to pick vegetables for Americans," Varney reports. Varney gives several examples of injuries and ailments that can result from working in the fields. "Many farmworkers don't have health insurance and pay what they can for medical care. Those who have immigration papers rely on Medicaid," she writes. "Only workers with legal status agreed to be interviewed for this story. Most farmworkers, however, are not working in this country legally, and their health coverage is spotty. They are employed by subcontractors who are supposed to offer them health insurance, but seven years after the passage of the Affordable Care Act, there's no good accounting for how many employers are complying with the law." Farmer Brent McKinsey told Varney, "You start to see your production drop, but it's difficult to manage because there aren't the younger people wanting to come in and work in this industry." McKinsey "says farmers are trying to mechanize planting and harvesting to reduce their labor needs. But machines can only do so much, McKinsey said. You can replace the human hand in a factory, perhaps. But out here, the fields are bumpy and the winds are strong, and you need people to bring the plants to life." "Since President Donald Trump's statement about immigrants from certain areas of the world is taking over the story on the immigration deal being negotiated in Washington, we will be using the president's language verbatim in print and online. Feel free to direct your complaints about the president's choice of language via postal service to 1600 Pennsylvania Ave NW, Washington, DC 20500, online at https://www.whitehouse.gov/contact/ or via Twitter @realDonaldTrump." Readers' limited comments on the story were favorable. One called it "priceless." The Herald Journal is published by Seattle-based Pioneer News Group, which also has papers in Washington, Oregon, Idaho and Montana. Some of its larger papers, such as the Idaho State Journal in Pocatello and the Bozeman Daily Chronicle in Montana, ran the story with the headline but without an editor's note. Jan. 30 is the deadline for nominations for the 2018 Hillman Prizes, which honor investigative journalism and commentary that advance social and economic justice. "Winners exemplify reportorial excellence, storytelling skill, and public service impact," says the Sidney Hillman Foundation, named for a pioneer of the labor movement. The categories for work published or premiered in 2017 are newspaper reporting, magazine reporting, nonfiction book, web journalism (material that appeared online but not in print), broadcast journalism, (at least 20 minutes in total package length) and opinion and analysis journalism in any medium. Each carries a $5,000 prize. There is no fee to enter. A cover letter and the nominated material are the only requirements. View the entry form and instructions. See previous winners here. Winners will be announced in April 2018. Each honoree is awarded travel to New York City for the awards ceremony on May 8.